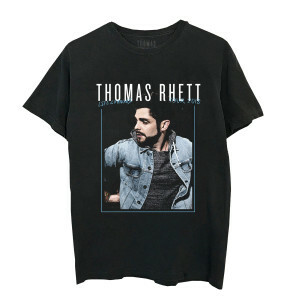 Black T-Shirt with Thomas Rhett photo on the front and tour dates on the back. I love this shirt. It is so comfortable. I am very happy with my purchase. Well worth standing in line for!! LOVE this shirt! So comfortable and cute! Very happy with my purchase! 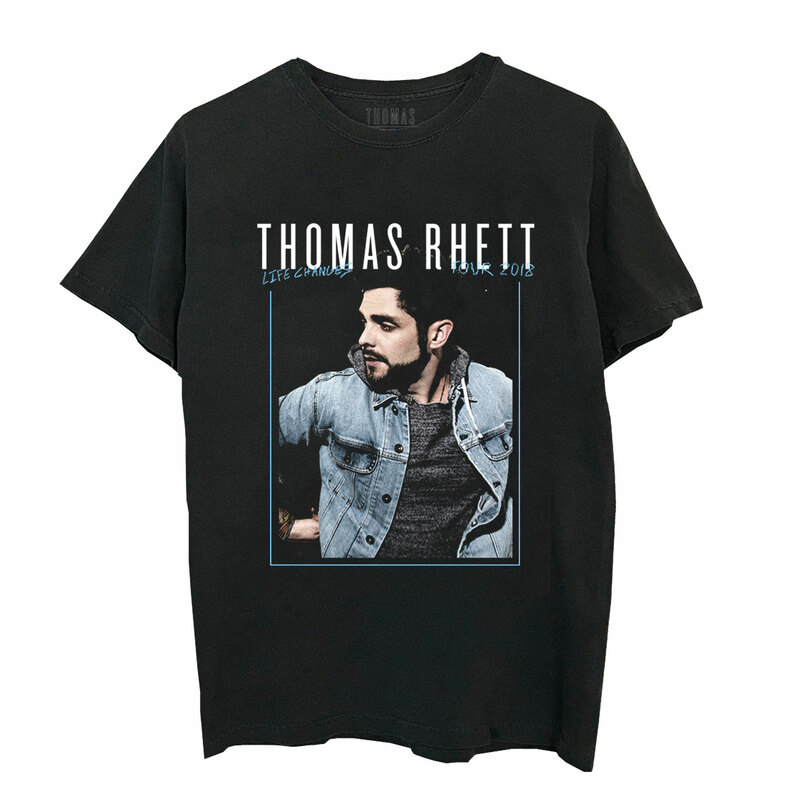 I really was happy with my Thomas Rhett framed photo tour date back black tshirt. I didn't expect the material to be as soft as it was. I was happy to be able to wear it to the concert and not have to stand in the long lines to get one. Also I timed it right and received a discounted price at the time I purchased tshirt. And the tshirt arrived in a timely fashion. I was so happy with the shirt and enjoyed wearing it and watching many other fans wear it for the concert. Can’t wait to keep wearing it and going to more concerts! 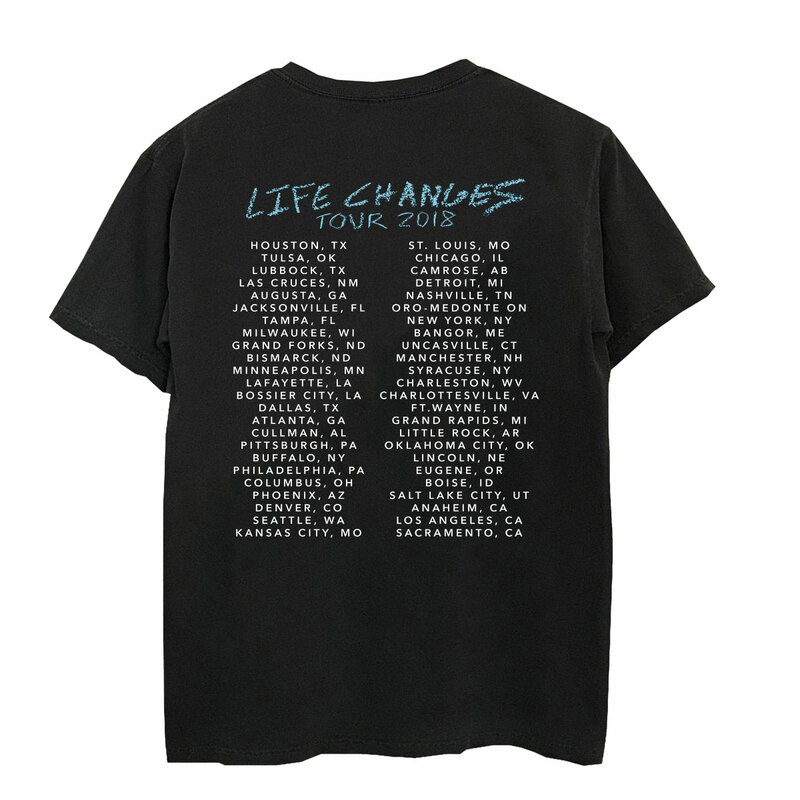 So happy to order this shirt online instead of standing in the long lines at the concert! It was a relief to be able to order this online. I hate waiting in the lines at the Merch tables. Love the shirt! Size is perfect! Can't wait until the Oct. 12, OKC show! I’m so excited I received this shirt a few days ago! It fits PERFECT! I can’t wait to wear it for the July 7th concert here in Seattle, Wa and it’s on my BIRTHDAY! I can now sit back and enjoy the show without waiting in those dreadful merchandise lines! Thank you so much! LOVE this shirt! It’s so soft, and I was afraid the picture on the front would be one big block of vinyl that would crack. I was pleasantly surprised to find out it was really well done. It doesn’t look like it will crack over time. It also fits true to size and has not shrunk. Very good quality, I love it! This shirt is soft &amp; comfortable!! It fits as expected. The shirt looks awesome and is super comfy!